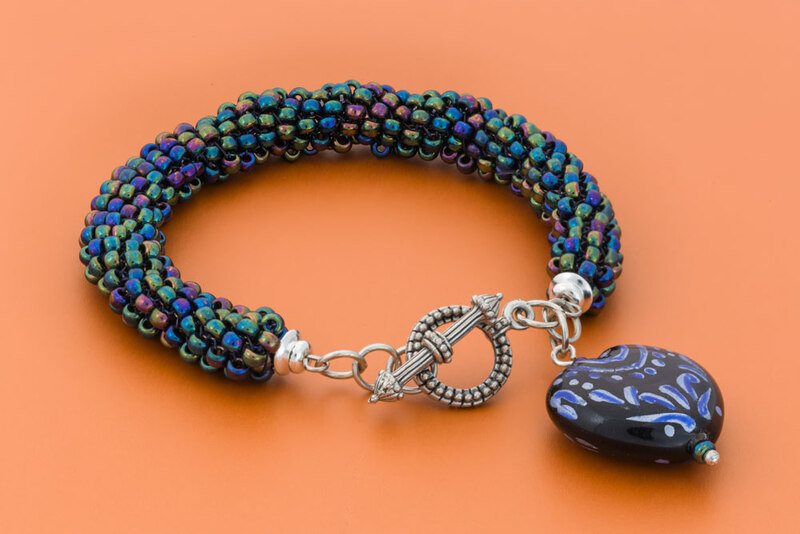 This bracelet design uses a peyote stitch pattern. If you're not familiar with this technique, don't worry, we have you covered. Check out our Video Lessons, we'll show you how to do it. Pull about 2M worth of nymo thread and thread on one seed bead, leaving a 6" tail. Take the thread through the seed bead again, creating a stop bead. Thread on five more seed beads and then go back through the "stop" bead again and then again through all of the seed beads to secure them in place. Go through the "stop" bead one last time and then begin your peyote stitching in the round. 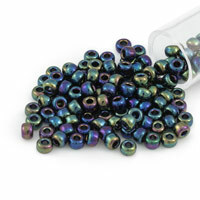 Continue until the length of beadweaving is 6-1/2" to 7-1/2" long depending on what size bracelet you need to create. After finishing the first end, fit your needle back onto the 6" tail from the beginning and finish of this end of the bracelet as well. Snake the memory wire "cuff" through the center of the beadweaving and then place a small amount of tape around one end so that the weaving doesn't fall off as your working with the other end of the bracelet. 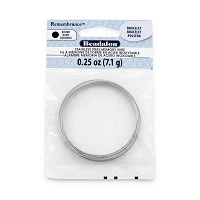 With one end of the bracelet taped, thread a bead cap onto the other side. With your Round Nose Pliers, make about a 3mm loop with your Round Nose Pliers. Slide the bead cap and the rest of the weaving up against this finished side of the bracelet while you end off the other, taped, end of the bracelet the same way as you did the first side. With the jump rings, make two chains of three jump rings each. Attach each length to either loop on the bracelet, and then attach one half of the toggle clasp to each half of this. Pick up the head pin and thread on one seed bead, the hand painted heart bead and another seed bead onto it. Make a simple loop with the remaining head pin wire and then cut off the excess with your Side Cutters. 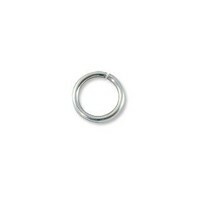 Re-open the loop slightly and attach it to the middle jump ring on either side of the bracelet. 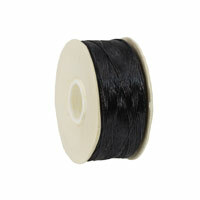 Q: I need to ask is this 2 meters of thread tney are talking about? Also I need more clarification on the beading after the putting on the stop bead. Just need more verified steps. Thanks! A: Yes, it is 2 meters of thread. For instructions on how to do the Peyote stitch there are 3 links above the "Lets Begin" for videos on how to do the stitch.